After the success of her primetime series Minsan Lang Kita Iibigin, Maja Salvador's next project is via the indie film Thelma. 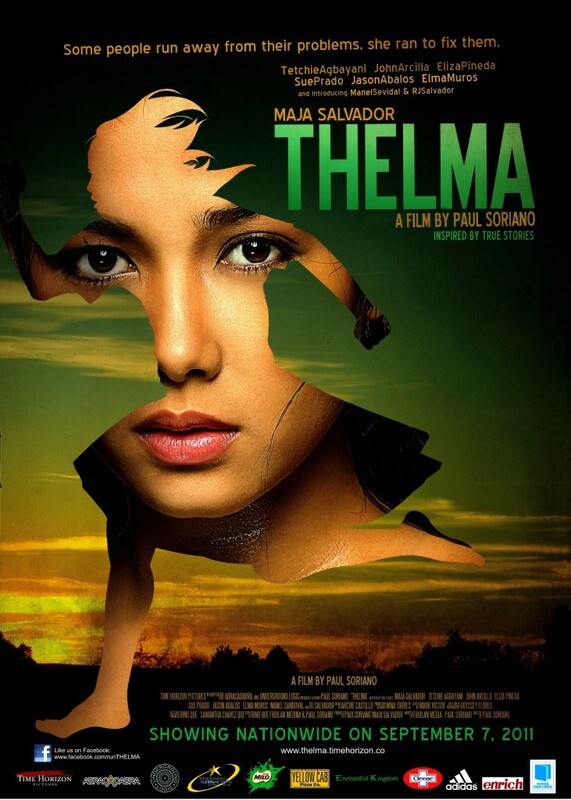 Distributed by ABS-CBN's film arm Star Cinema, Thelma is set to be shown on theaters nationwide on September 7. Also part of the cast are Tetchie Agbayani, Eliza Pineda, John Arcilla, Elma Muros and Jason Abalos under the direction of Paul Soriano from TimeHorizon Pictures.